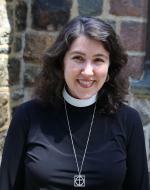 Bishop Carlye J. Hughes has appointed The Rev. Bowie Snodgrass, Class of 2015, to be Priest-in-Charge of Christ Church in Short Hills, NJ effective Sunday, January 20, 2019. Bowie arrived in the parish in June 2016 as a Curate after she received her Masters of Sacred Theology from General in 2016. Snodgrass has been the Associate Rector of the parish since March 2018, overseeing Spiritual Formation and Newcomer Welcome, in addition to serving as Chaplain at the Christ Church Nursery School. She was sponsored for ordination in the Diocese of New York by the Congregation of St. Saviour at the Cathedral Church of St. John the Divine and served as Wisdom Year Resident and Deacon at the Parish of Calvary-St. George's. Before ordination, Snodgrass's professional lay ministry in New York included service as Director of Youth and Young Adult Ministries at St. James' Episcopal Church; Executive Director of Faith House Manhattan; and a redesign of episcopalchurch.org as Web Content Editor at the Episcopal Church Center. From 2010-11, Bowie was a lay member on the Task Group selected to produce a new liturgy for same-gender blessings on behalf of the Standing Commission of Liturgy and Music. Her ecumenical experience includes serving on the Steering Committee for Christian Churches Together and as an Episcopal Delegate for the National Council of Churches in Christ. She was a co-founder of Transmission, an emerging house church, and has been involved in experimental ministries since 2006. Snodgrass majored in Religious Studies at Vassar College, received her M.Div. from Union Theological Seminary, and then went on to receive her Diploma in Anglican Studies followed by a Master of Sacred Theology from General. She has been published in The Huffington Post, The Anglican Theological Review and The Episcopal New Yorker. Bowie and her husband, George Mathew, a conductor and humanitarian, live in Short Hills with their son, Jacob, and daughter, Eszter (who loves CCNS).